Here are a few easy tips on how to apply mascara perfectly. So, be confident as you say hello to the world with your gorgeous eyes! Mascara can instantly give your eyes a mini makeover by adding the necessary volume and length. Not only does it give them depth, it also makes them appear more bright and awake. Eye shadow or no eye shadow, your eyes will surely be admired if you’ve correctly applied a mascara. But issues like specks and clumps in the lashes, lashes sticking together or spider lashes makes your overall look clumsy. To avoid these mistakes read on to understand the correct technique of mascara application. 1. In addition to mascaras offering fuller or lengthier lashes, there are formulas that does both of these. If you are confused then we recommend you go with such options. 2. Choose black mascara for thick looking lashes or go ahead and pick from a variety of shades such as brown, purple and blue. 3. Buy a waterproof variant if you plan to wear your mascara all day or are likely to sweat or tear up. Note that as compared to washable variant, the waterproof variant can only be removed by an oil based makeup remover but is a better option as it will not smudge. Step 1– Before starting to work on your lashes, apply a primer on your face and eye area. After this apply your eye shadow ad finally your liner. 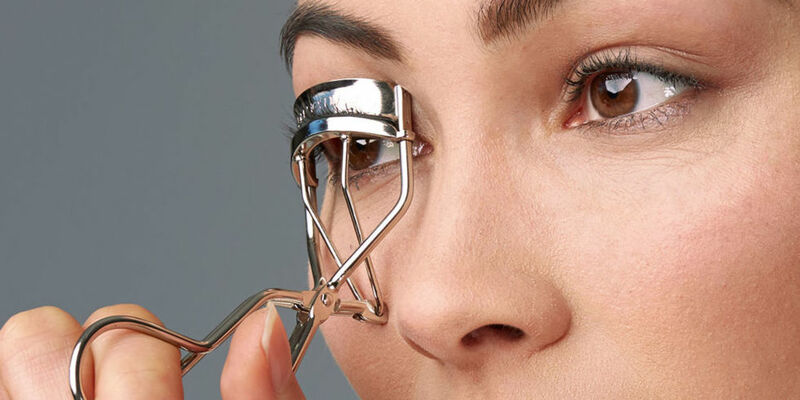 Step 2– Curl your upper eye lashes using an eye lash curler. Begin from the roots and gently press the curler for 10 seconds on each eye. Step 3– Ensure that you don’t have too much product on the mascara wand. Remove the excess on the rim of your mascara bottle or on a clean tissue. An important tip that will prevent your mascara from drying out quickly is to avoid pumping the wand in and out of the bottle too much as it forces air and germs in the bottle. Step 4– We recommend that you begin applying mascara from the bottom of the lashes as it will prevent forming of clumps. Bend your head a little and look straight in the mirror as you apply the mascara. To keep the lashes separated, wiggle the wand as you go up. You can apply 2-3 coats till the desired volume or length is achieved. Step 5– To coat lower lashes, use the tip of wand and make sure to scrap excess product while taking it out from the bottle. You can also place a tissue over the area to prevent it from transferring on the lower of upper eye lid area.